Built Area : 100 Sq. Ft. 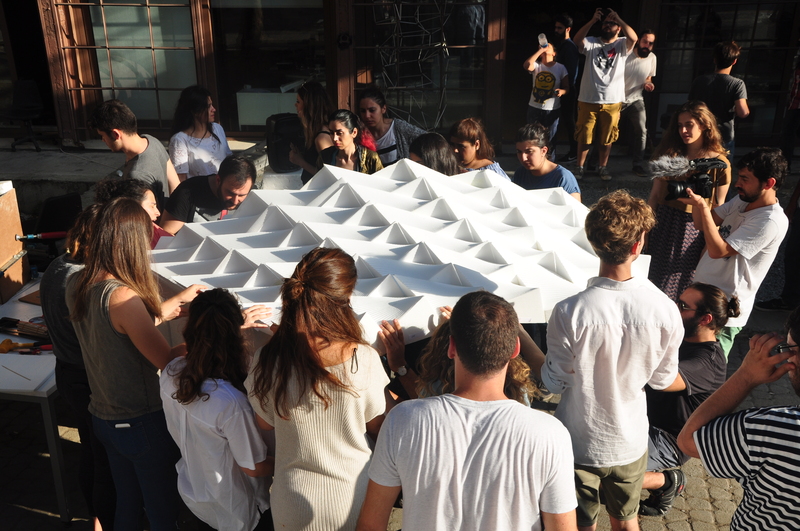 Vaulted Gateways is a parametrically designed, digitally fabricated, and manually assembled modular temporary pavilion that acts as pivot between two buildings of The Istanbul Bilgi University with distinctively different architectures. 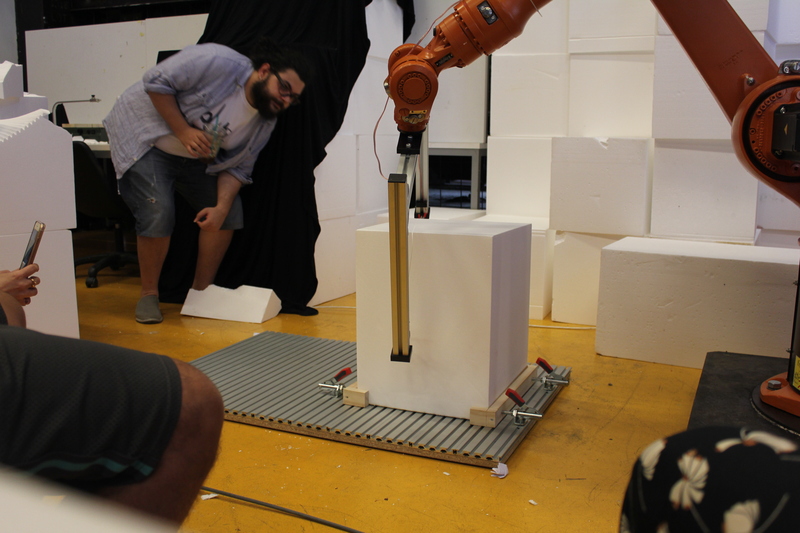 The project allowed us to explore ways that technology and robotic fabrication can effect the way architecture is realized. It gave us the opportunity to work with unconventional materials, forms and construction techniques. The course itself was divided into two parts - for two weeks we worked in small groups to work on a proposal for the pavilion and for the next two weeks we worked to realize the final design. The idea behind our project was to create a transitional space between the two existing buildings on either side of the project site. The two buildings while having some similarities in terms of geometry have very unique transparencies on the whole. While one is an old industrial building with an iron frame and glass windows populating the facade the other is predominantly a concrete block with aluminum mesh on the upper floors. Our idea was to create an in-between space that links both buildings through translucency and density. The structure while mimicking the existing architecture through the density of its components also attempts to break the existing linearity surrounding the space through its form. We came up with a twisted cylindrical module that multiplies itself to form a branching structure with multiple entry and exit points linking both the existing buildings. This repetitive form is our way of incorporating the robotic arm into the design itself referencing the history of the tool itself which was created to endlessly repeat the same task. What we find really interesting is that while the design uses the same module throughout and as a result very mechanical and repetitive manufacturing process, the end result itself is very organic and alive. Connection detail of two modules. Connection Detail with rope for additional tension. Grasshopper script to adjust thickness of modules in response to the structural load.